Craig Thornton - "Growing the Company"
Craig Thornton has worked in QHSE for many years, and the value of Mango is clearly illustrated by his experience. 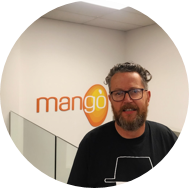 Prior to joining Mango, Craig was the Senior Auditor for the certification body Verification NZ, and responsible for leading the ISO certification programme. He has also worked as Engineering Manager and Director of Quality for Allied Telesis, and as Quality Manager for Tait Electronics. As the Chief Marketing Officer at Mango, Craig is the go-to man on QHSE compliance issues and developments. He not only helps keep customers and industry colleagues up to date through regular blogs, newsletters, and social media posts, he also presents a popular webinar series, and has been interviewed by media on issues, such as the recent changes to the Health and Safety Act in New Zealand.